In other words, all the grand plans in the world won’t work unless the company’s people are committed and feel part of the them. It sounds simple however that doesn’t mean it’s easy. 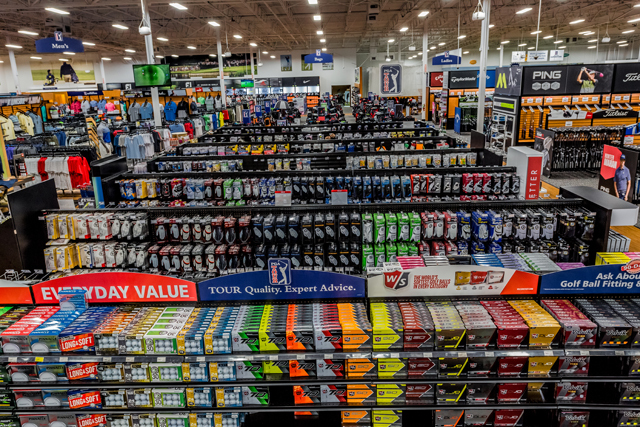 The proof is in the doing…and PGATSS is doing in spades. In a wide-ranging interview Corey emphasized the answer for them is being able to engage a customer’s emotions, desires and wants as well as needs. He talked about the essentials beginning with ensuring store employees interact positively with customers. This goes beyond simply having a company policy to greet visitors walking in the door and speaks directly about employee training and even more importantly to the attitude they bring to the job. “They go out of their way to say yes,” Corey said with a slight smile that didn’t mask the intensity of a mantra reflecting the culture of the entire organization. Making visitors into customers and customers into advocates is all about the employee/customer interaction plus the facility itself. Each location is designed for customer involvement and it starts with the huge putting green just inside the front door that’s ideal for testing out any of the hundred or so putters lining the perimeter. 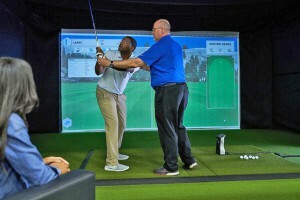 Down one side of the store are hitting bays with golf holes projected on a screen and launch monitors making it easy for golfers to try the latest driver or irons. Trained club fitters and PGA Professionals for swing improvement are on hand or the bays can simply be a practice range when the weather outside is frightful. Though perhaps not the most profound description for the almost startling success for the Roswell, Georgia based company, it is dead-on particularly when applied consistently and enthusiastically day to day. Corey explained the three keys to success in what can be for consumers a bewildering marketplace with choices running the gamut from green grass to big box retailers to small shops and then of course there’s the elephant in the room, the Internet. His list starts with offering a complete depth and breadth of service, something impossible for Internet sellers and very difficult for small shops. Next is engaging customers in the process which includes having fun testing equipment using the hi-tech systems capped off with employing passionate people not on sales commission. 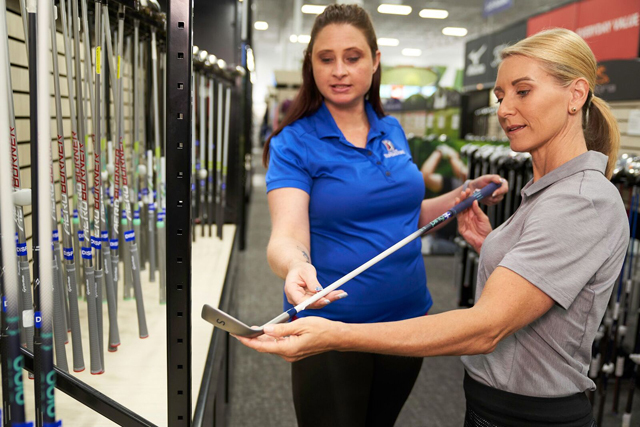 Corey joined PGATSS in 2013 and currently responsible for marketing and the e-commerce business plus he manages the company’s partnership with the PGA TOUR, the Golf Channel, multiple corporate sponsors and the Drive, Chip and Putt program. 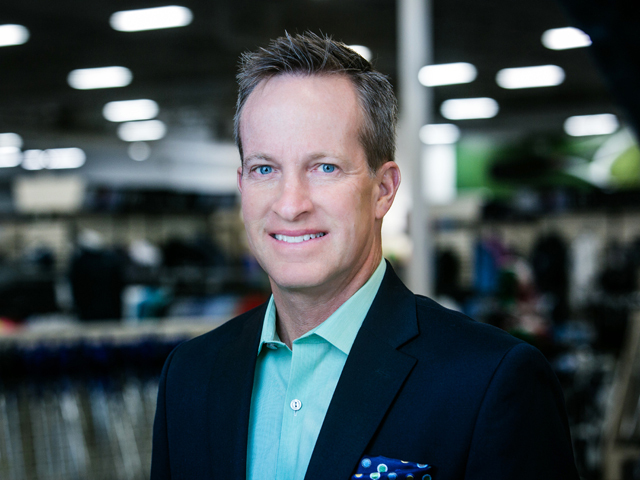 He earned an MBA from Georgia Tech and before joining PGATSS was Chief Marketing Officer for Golfsmith. 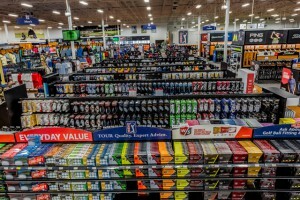 This recruiting effort is not to be thought of as some “major strategic initiative,” to use the current buzz words, but simply an example of the kind of thinking that puts PGATSS in its unique position. Owned by Arthur Blank, co-founder of Home Depot and owner of the NFL Atlanta Falcons and MLS Atlanta United, they presently have 36 locations in 16 states and plans for 50 by the end of next year. 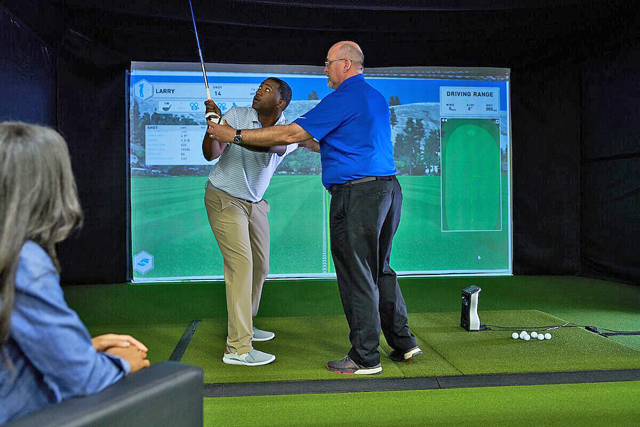 In 2018 they had 7.5 million customers and it is evident the company works hard to make each store a place where families are welcome–play on the simulators, use the hitting bays and putt on the artificial green. 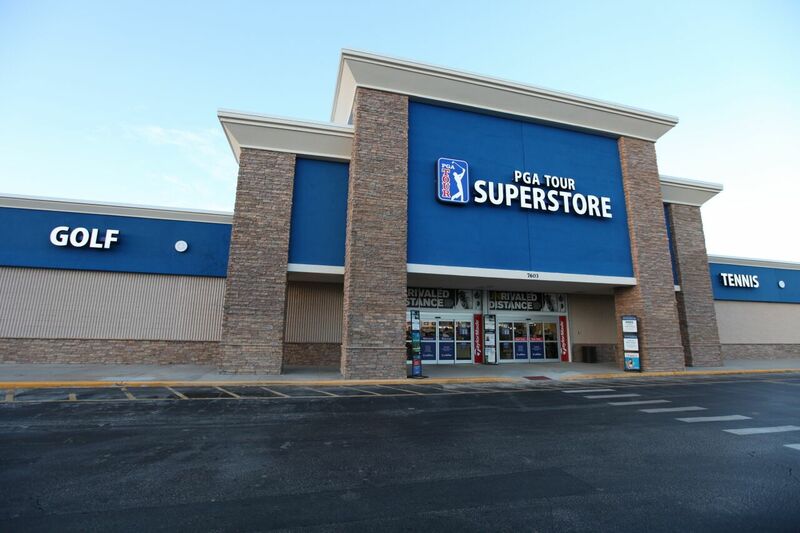 PGATSS also puts time and effort into development of employees and consider it an investment in the company’s future not just another business expense. A large part of that development is having detailed knowledge of the products being sold so in January 160 staff members met at Streamsong golf resort with equipment company representatives for the latest information on the 2019 lines of clubs and balls. Measured in sales numbers their approach is working. In 2018 sales grew by 14 percent with strong increases in same-store volume plus double-digit growth in e-commerce. The good news was shared across all departments with clubs, men’s apparel and golf footwear leading the way.